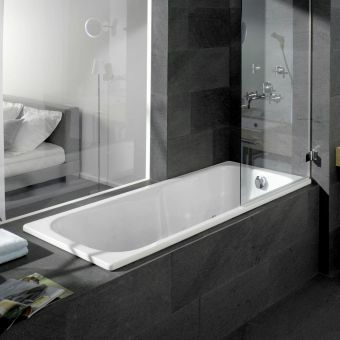 Opting for the clean simplicity of a classic steel bath shape, the Saniform Plus model from German manufacturer Kaldewei will provide your bathroom with outstanding quality and durability. 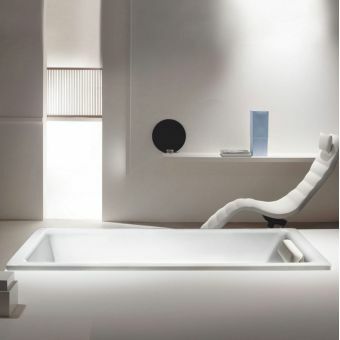 Produced from top-quality steel and with a finished thickness of 3.5mm, this timeless bath not only performs well but also hits the mark on style. 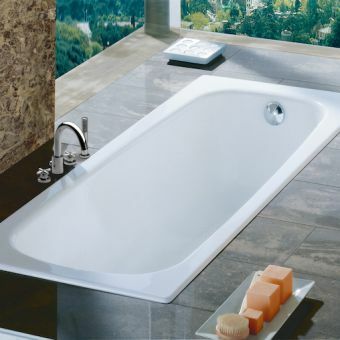 This version is supplied with several options including antislip making it suitable for use as a shower bath plus two sets of UK style chrome grips which are fitted to each side to aid entry and exiting the bath. 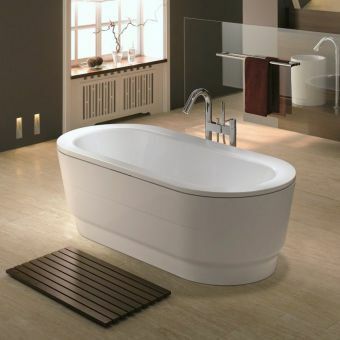 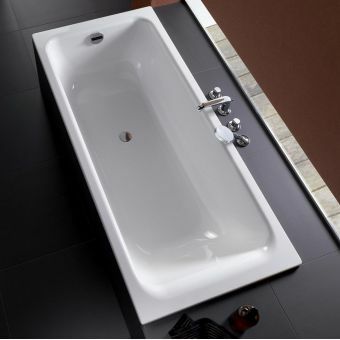 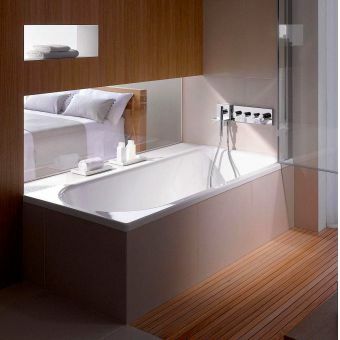 This outstanding bath can be further personalised with your own choice of bath taps using the 2 pre-drilled tapholes. 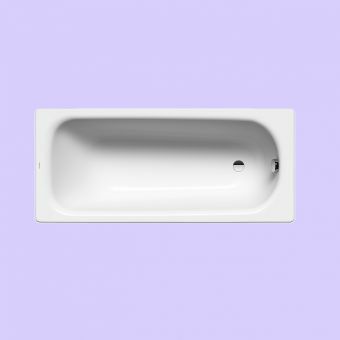 Supplied in the four most popular sizes of 1600(w) x 700(d)mm, 1700(w) x 700(d)mm, 1700(w) x 750(d)mm and 1800(w) x 800(d)mm, there will definitely be one to fit your bathroom. 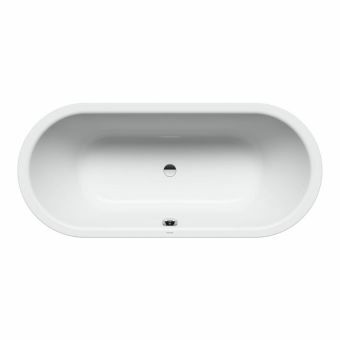 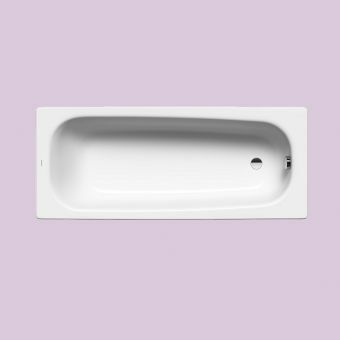 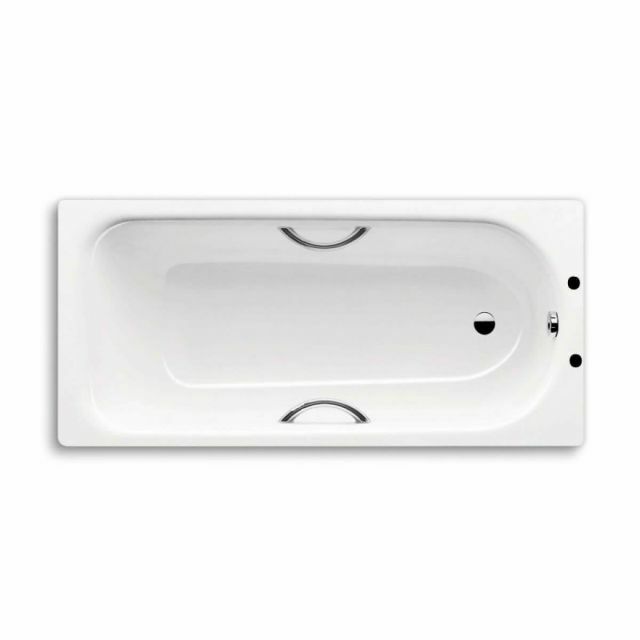 We also have the option to include Kaldewei's adjustable feet so you can easily level the bath for fitting. 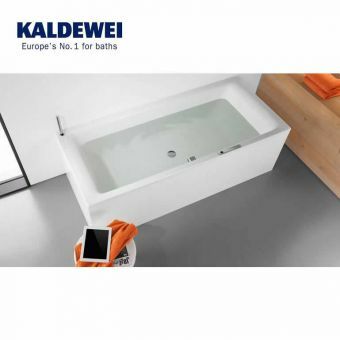 Stay warm for longer with Kaldewei baths.